to provide Christlike character formation and servant leadership development for boys in a highly relational and fun environment. Our method affirms the interactive learning style and the activity- based programming is catered to the interest and abilities of boys in that group. It includes a challenging and fun advancement program designed to encourage the boys in their walk with God through indoor and outdoor activities and games. The boys will have opportunities to achieve many advancement awards that can be placed on an awards vest and worn each week as part of the official Royal Rangers uniform. Regular meeting times: Wednesdays at 7 pm, N.L. White Building. 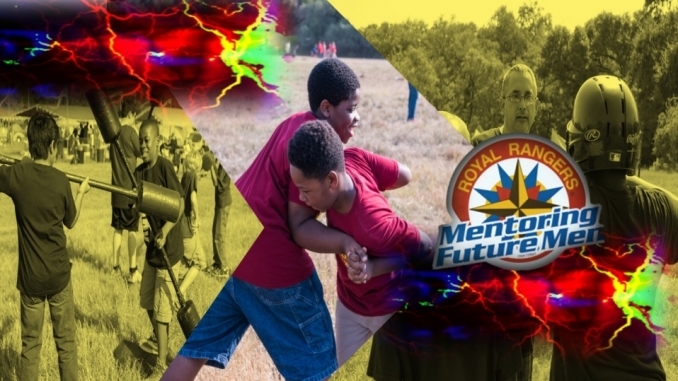 Supplemental programming such as outings are planned during the year and may be sponsored by the Houston Section Royal Rangers or the South Texas District Royal Rangers.